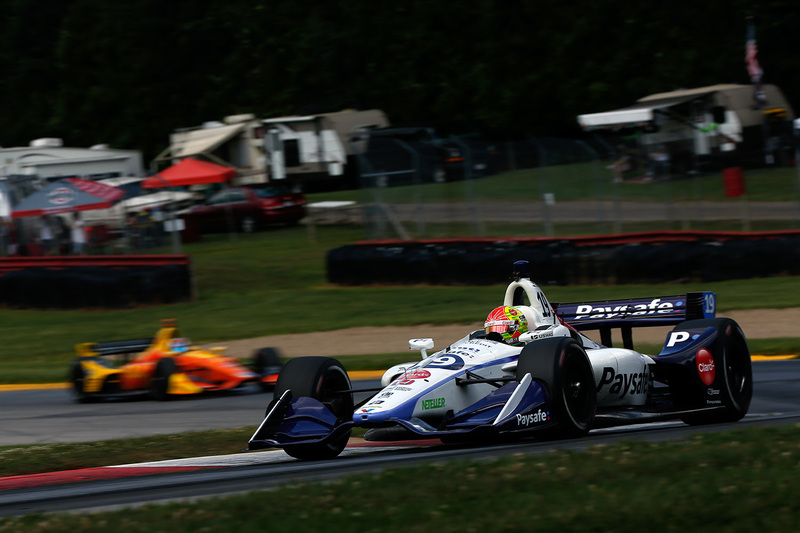 Lexington, OH (July 29, 2018) – Dale Coyne Racing’s Pietro Fittipaldi made his return to racing action on Sunday at the Honda Indy 200 at Mid-Ohio, 12 weeks after suffering injuries to both his legs during a qualifying incident at a sports car event overseas. Not only was Fittipaldi back behind the wheel so quickly, while still recovering from his injuries, but he achieved his goal of completing his first Verizon IndyCar Series race and that is a small victory in itself for the rookie who placed 23rd in his return to the #19 Paysafe car. It wasn’t an easy race for Fittipaldi who was starting 22nd. The rookie fell to 23rd after being passed by his teammate Sebastien Bourdais on Lap 3 and he would stay in that position for the remainder of the race. However, the driver of the #19 Paysafe car picked up valuable experience throughout the caution-free 90-lap event and picked up pace as the race went on closing the gap to the car ahead of him while keeping another behind. The Dale Coyne Racing team will now take the next two weeks to complete tests at Gateway Motorsports Park on Wednesday, August 1 as well as at Pocono Raceway on Thursday August 9, before heading back to Pocono Raceway for the next round on the Verizon IndyCar Series schedule, the ABC Supply 500 on August 19, 2018.